For a long silence. But I really have been quite wretched. The pneumonia lingers on. The nausea and vomiting has left me so weak that I can scarcely pick up a book let alone write. And the weakness means I can’t walk or exercise with the result that after three weeks confined to bed I’m now suffering from excruciating back pain. On the brighter side I am enjoying being totally infantised. A few nights ago I had this surreal experience of complete role reversal between me and my son. As George was trying to put a forkful of food in my mouth, he circled the fork like a plane and said “come on open up we’re coming in to land” which is exactly what I would do to him 33 years ago. My daughter Sarah reads to me. We’re reading ‘Why Be Happy When You Could Be Normal’ by Jeanette Winterson. An extraordinary tale of triumph over circumstance. The author was born in a two up two down in Accrington with a tyrant of a mother who did everything to undermine her confidence. Somehow she got to Oxford and is an award winning author and OBE. Nick continues to read me the Maigret thrillers. We’ve read fourteen now. My sister Rosanna is reading me Winnie the Pooh. Last night, we got up to the tale when Pooh, Eeyore, Piglet and Rabbit gang up on Kanga and Baby Roo and kidnap Baby Roo in the process. But all ends amicably and everyone is friends again now. What wonderful timeless and ageless stories. So, I’m being fed and read to and nurtured and given loads of love from my family. All of which is keeping me going. On a more serious note, I’ve also discovered to my relief that despite the infantisation, my cognitive faculties are still with me. Sarah and I took three days to finish one game of Scrabble and I won-270 to 250. Although I’m pretty sure Sarah let me win. Nonetheless it boosted morale, which is in need of boosting. Please keep sending your messages and forgive me for lack of personal response. < Previous What A Night! Great to hear an update. Sounds very grueling, but the good news is that it appears to be moving forward, that is, no rejection. What an uphill battle! Can someone massage your back for you, maybe there is a physical therapist in hospital who can help you? I’m flying home tomorrow, the container was packed up and driven away yesterday. Next chapter awaits for us in NY. Glad to hear you are being well looked after. Maybe one of your readers could read you my latest novel ‘Bitter Lemons’. It’s not quite in the same league as Georges Simenon or A.A.Milne but it mentions Ca’n Reus three times! Hope to see you back in Fornalutx soon. Dearest Sue!!! Stupidly enough I didn’t realize before I could react directly on this blog. We’re always anxious to read your latest up-dates. It’s amazing to read your observations and thoughts. The former post was a scary one, I must admit. And when you write now that you have been “quite wretched” I can not even begin to imagine what you must have suffered…So good to know that you have loving people around reading, feeding and comforting you. We’re still discussing on translating and publishing on our news site some of your posts,fotos and newspaper publication along with an article on the situation in Argentina re cell transplants. I’ve been working a lot on the Amia cover up trial recently doing interviews and writing…it’s fun. There is the book on women abuses during dictatorship on it’s way to you. My sister took it with her to Belgium and it should be in the mail by now. So good to hear you are still with us. It is a rocky road with many a twist and turn! I guess you are on Cyclosporin too which isn’t the greatest. Next time you post tell us your blood count! Thank heavens! The other Twitter Lady was worrying about you too – that was a long scary silence. No need to apologise though, we’re just glad it wasn’t anything more serious. Make the most of being ‘petted up’ by the youngsters and get the nurses to give you some nice drugs for the pain – you shouldn’t be uncomfortable, especially if it stops you sleeping. Good choice of reading material. You have to be careful – someone gave me the film Bubba Ho-Tep to watch (alone) while I was on morphine – I still have flashbacks. Wonderful to hear from you Sue. Enjoy the rest of the Pooh stories, I love the interchange between rabbit and owl, and I would be amazed if your reader manages the last bit of the least story without their voice breaking just a bit (I always cracked when I read it to the boys). Congrats on the Scrabble win, Sue. We’re all rooting for you – not so much in the board games as in the main battle, which you are fighting so brilliantly. Dearest Sue – What a rough and wretched time you are having, but glad to know that you still have your wonderful sense of humour and all your mental faculties. 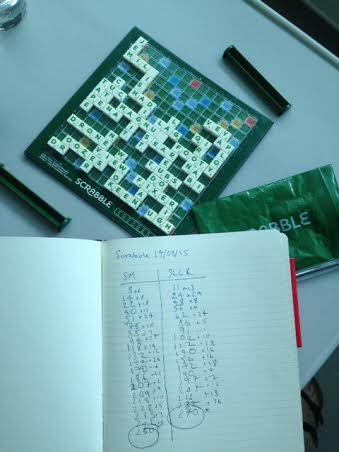 Impressive win at scrabble – hope you are using words like dzong, yeti, migou and other Tib words to fox your opponents! Keep fighting the good fight and hope that you will soon feel stronger and with less pain. I am off to Ladakh next week (with groups) but will keep checking your news……. Dearest Sue, wondering how you are now…it’s been a long time? So sorry to hear that you have lost the struggle, Sue.You were definitely at your bravest here.